Tinactin Foot Deodorant Powder Spray 4.6oz is an excellent source for relief from Athletes foot. Tinactin has long been a product that consumers have sought out to fight and cure even the toughest cases of Athletes foot. This product is available in liquid, powder, and cream for ease of use and application. 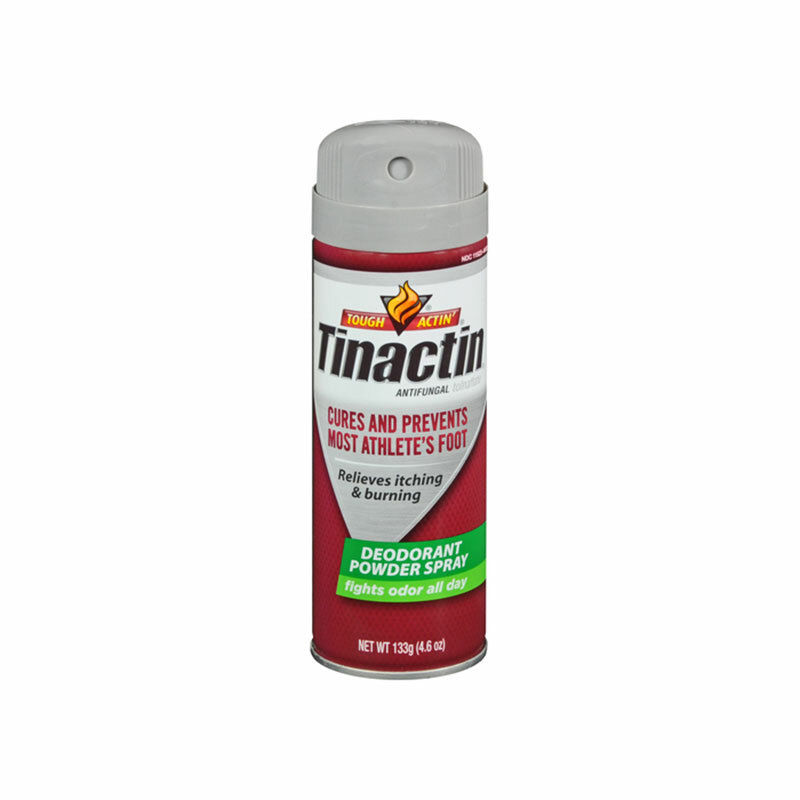 Tinactin Deodorant Powder Spray 4.6oz is designed to provide a quick, convenient, to-touch application that leaves tolnaflate on the skin after the propellant and solvent evaporate. Remember to spray evenly, especially between the toes. Cures most athlete's foot and prevents recurrence. Contains 4.6 ounces of Tinactin Deodorant Powder.